This holiday season you have the opportunity to make the most of your time with loved ones. From small family traditions to large community outings, your holiday in Lawrence County will be filled with riches as beautiful as your spirit. Let us have a White Christmas, which not only is a classic, but it’s filled with the true meaning of Christmas and the holiday season. There is joy and happiness, which come from helping others, counting your blessings, and not being afraid to have fun through the hard times. This year we have much to be thankful for, many memories to make and here’s 10 amazing holiday activities to do just that. 10. The Greenville Symphony Orchestra with Greenville Area Community Theater The SAY Chorus will usher in the holiday season in grand style! Don’t miss their debut on the Cathedral’s stage! 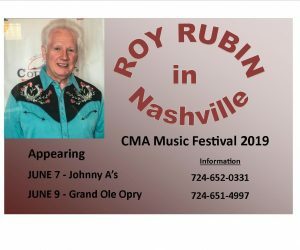 Tickets range from $5 – $24. 9. 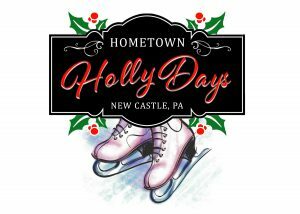 Nova Destinations brings back their Holly Jolly Wine Trail, December 8-10th! At each location you will receive an all-inclusive wine tasting, free drink with small food pairing, as well as a hand-crafted, location specific tree ornament. The trail begins at Knockin Noggin Cidery & Winery in Volant. 8. You can check off your Christmas shopping list in Lawrence County with plenty one-of-a-kind gifts in the abundance of unique shops here. Indulge in delicious sweet treats from Jameson’s Chocolates & Mona’s Chocolates or gift baskets from The Apple Castle, The Cheese House or Special-Teas, Etc. Frost your loved one with diamonds and beautiful jewelry from Blocher Jewelers and Germani’s Jewelry. Season passes to Mines & Meadows ATV/RV Park, OH WOW! Science Center or Westminster College Celebrity Series. 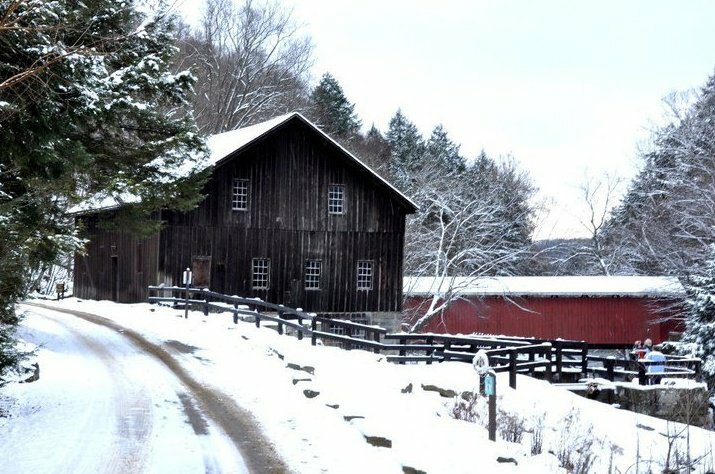 While shopping enjoy walking around the quaint Volant Shops, New Wilmington and Ellwood City. This is just a sampling of shops in Lawrence County. 7. You can experience Nativities From All Over the World at Silk Road Fair Trade Market and Villa Maria Community Center. Villa Maria will have their nativities displayed on December 3rd and 10th with a roast beef dinner from 12-4 pm on both days. 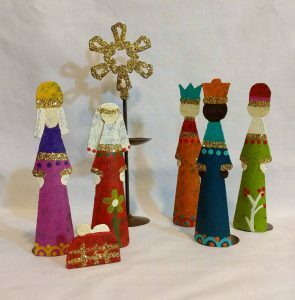 Silk Road Fair Trade Market nativities will be displayed and available for purchase throughout the month of December while supplies last. Both places are excellent stops to Christmas shop as well! 6. Westminster College Celebrity Series is setting the mood with Ten Tenors: Home for the Holidays on December 11th. Home for the Holidays is a magical experience for the whole family that will dazzle, delight and captivate. With soaring versions of “Joy to the World,” “Sleigh Ride,” “White Christmas,” “Amazing Grace,” “Winter Wonderland,” “Feliz Navidad” and many more, Home for the Holidays is the perfect way to celebrate the spirit of the season. 5. Cascade Park and Ewing Park transform into winter wonderlands for Cascade of Lights & Christmas in the Park. Both are drive through light displays for the entire family to enjoy. On December 9th & 16th, take a photo with Santa and enjoy hot chocolate and cookies at Cascade of Lights. 4. There is something about being able to cut your own Christmas Tree. Yes, it might remind me of National Lampoons Christmas Vacation and possibly finding a squirrel lurking in the branches, but it makes the experience that much more fun! Every year, my family and I find the perfect tree to decorate. It becomes the focal point in the house and we have so much fun throughout the entire process. 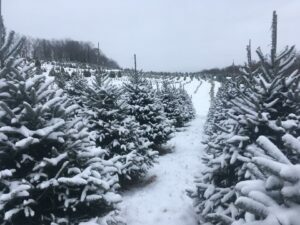 You can create your own memories at McConnells Christmas Tree Farm, Rodgers Pine Hills Farm, Spring Water Tree Farm or Zeiglers Christmas Trees. 3. 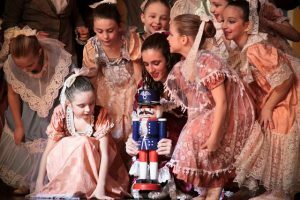 Every year the New Castle Regional Ballet puts on a fantastic performance of “The Nutcracker” to kick off the Christmas season. The dedication and hard work the company puts in is clearly shown by how effortless the entire production seems. You can see the Mouse King, Nutcracker and Sugar Plum Fairies come to life on December 3rd at 2:00 at the Scottish Rite Cathedral. 2. Holiday Movies – This season you have multiple chances to enjoy your favorite holiday movies in some pretty cool locations. Historic Warner Cascade Theatre Museum – The Warner Brothers opened their first ‘theatre’ on Saturday, February 2nd, 1907 on Mill Street in a thriving, downtown New Castle. Today the Historic Warner Cascade Theatre Museum has replicated theatres paying homage to the original. With the help of the New Castle Public Library, every Saturday they will be showing two holiday movies. Scottish Rite Cathedral – “Let it go, Let it go” sing your heart out to Frozen while watching this family fun film in an National Historic Landmark – the Scottish Rite Cathedral – while wearing your pajamas! I’ve only highlighted a few things you could do in Lawrence County this holiday season. Please check out, Visit Lawrence County event page for more events and details on the events listed above! This entry was posted in Recent News & Updates and tagged Christmas, holidays, ice skating, Lawrence county, Warner brothers. Bookmark the permalink.